Touted as the solution to Britain’s fading global power, the £3 billion HMS Queen Elizabeth aircraft carrier is set to leave port for the first time to undertake sea trials. 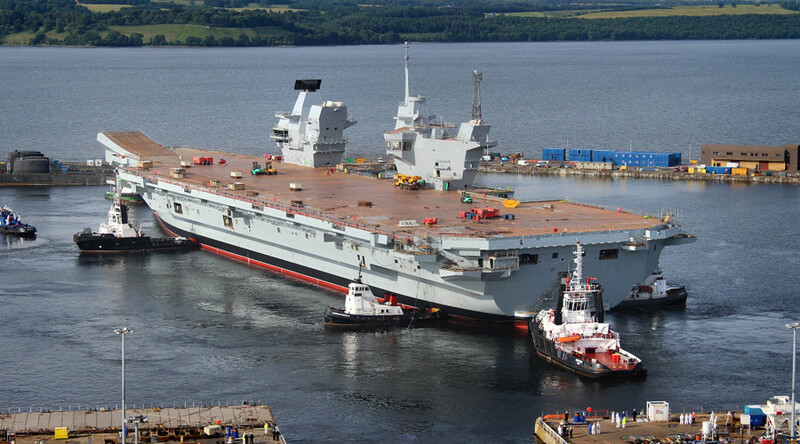 The 65,000 ton vessel, which will be the UK’s first aircraft carrier since the HMS Ark Royal was scrapped in 2010, is due to leave the shipyard at Rosyth, Scotland, on Monday. Eleven tugs will be needed to maneuver the vessel, which is as long as three football fields. She will have to squeeze into the estuary through the narrow exit from her dock. Once free, she will wait for low tide and have her tallest masts and antennae stripped down to pass under the Forth bridges, before making her way to the open sea under her own power. Despite the upcoming trials, the carrier is not expected to be ready for action for several years. 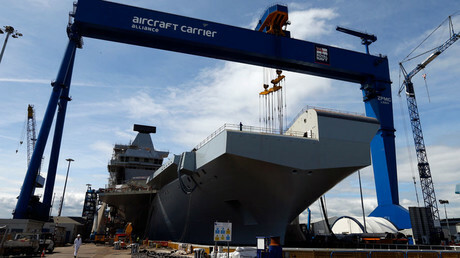 A sister carrier, the HMS Prince Of Wales, is also under construction. “I think there are very few capabilities, by any country, that are as symbolic as a carrier strike capability,” the Queen Elizabeth’s commander, Captain Jerry Kydd, told the BBC. “Submarines you can’t see, but these are very visible symbols of power and power projection,” he said. The source said that by developing carriers the UK was “moving in the direction absolutely contrary to strategic developments of our time,” seeing how current wars are fought with drones and special forces. There are also concerns over whether there will be enough American-made F-35 fighters to equip both ships, as a parallel project to purchase the US jets has seen years of delays.